SAWYER PRODUCTS Squeeze Filter, 32 oz. 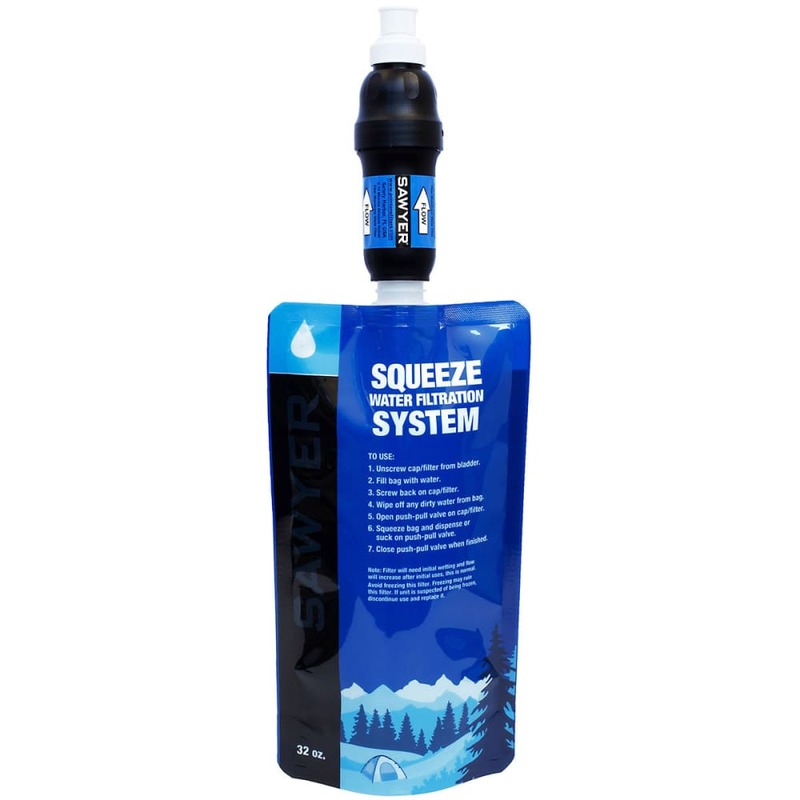 At just 3 oz., the Sawyer Squeeze Filter is the lightest, most versatile filtration system on the market. 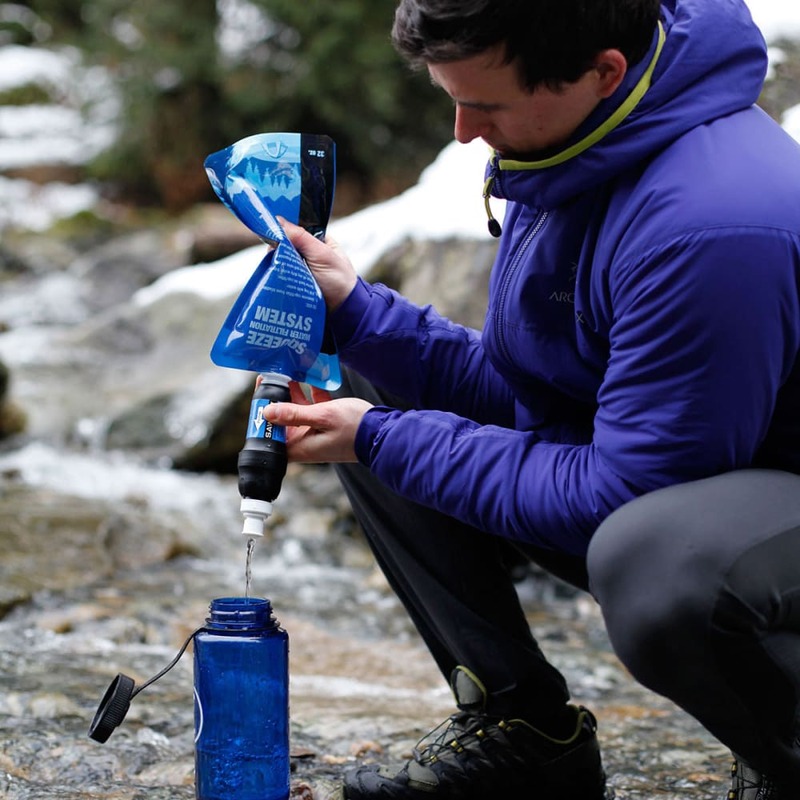 With the ability to flatten out/roll up, the Squeeze Filter pouch takes up almost no space in your pack so you can have safe, drinkable water everywhere you go.